West Virginia made positive strides by becoming one of the only states to pass successful legislation for legal sports betting. What is even more impressive about West Virginia is they passed their legislation without appeasing the MLB and NBA and their list of demands. In what now seems like an obvious next step, WV casino owners are set to meet with league representatives at the behest of the governor. 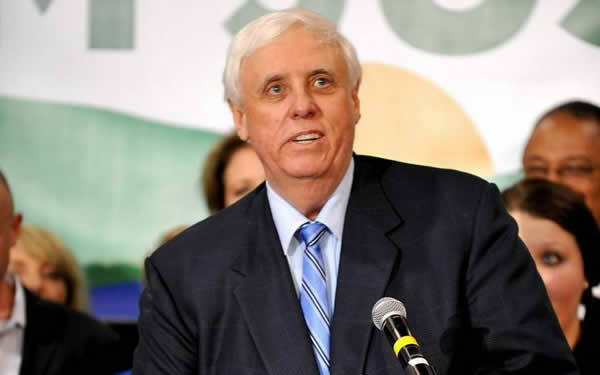 The reason why the West Virginia sports betting bill passed in the first place was due to inaction from Governor Jim Justice. The bill sat on his desk for several days and passed without his signature on a technicality. There is no telling why Governor Justice didn’t sign the bill. Perhaps it was that he didn’t want his name attached to a bill he knew was not supported by the MLB and NBA, groups that had been lobbying in the state and no doubt reaching out to him for support. In any case, what matters now is that influence appears to be showing its teeth to lawmakers. As soon as the original bill passed, Governor Justice urged WV lawmakers to reconsider their stance on the matter. He wants them to figure out a way to loop the leagues into their sports betting framework. The lawmakers and casino owners are aware that this means paying a royalty fee to the leagues and granting them certain data exclusivity rights. The MLB and NBA are refusing to let West Virginia slip out of their grasp. Governor Justice echoes their wishes and has stated he would call a special session to address potential issues with the law as it stands now. With five potential licensees in the state, there are numerous lucrative options. The Casino Club at The Greenbrier, Hollywood Casino at Charles Town Races, Mardi Gras Casino and Resort, Mountaineer Casino, Racetrack and Resort and Wheeling Island Hotel-Casino-Racetrack are all reportedly willing and able to host sports betting. It is also reported that they could be up and running within 90 days of a decision in the Supreme Court case. With these factors in place, it is no wonder the leagues refuse to back down on what looks like the first state ready to offer betting outside of Nevada. These casinos would only host brick-and-mortar sports betting. State regulated online betting is still a question mark in the US. There is a federal law known as the Federal Wire Act that makes it illegal for US based online sportsbooks to operate. However, PASPA’s likely repeal in light of the SCOTUS decision could lead to the Wire Act’s demise as well. In this event, these five West Virginia casinos could introduce online betting platforms for residents. Just because Governor Justice called this meeting does not mean anything will change. On paper, the casinos benefit from the law that was passed, not the revised version the sports leagues and Governor are pushing. It is what happens behind the scenes that will push any amendments on this bill forward. The leagues will have to incentivize these casino owners in some way so that it seems like they are getting a good deal. It is unfortunate that West Virginia may alter their sports betting legislation, but that is way sports gambling politics works with the powers that be.